On Wednesday, the 15 of April something important happened I lost my virginity, but not in a sexual way. 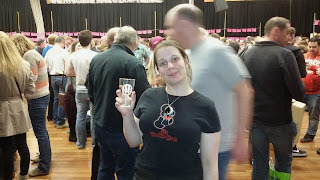 I finally attended my first Beer and cider festival; it was spectacular trying out a whole array of proper ciders. The boyfriend has been counting down the days since last June, and wanting me to attend. The lucky sod even booked holidays to get drunk to take full advantage of the festival and taste the various craft beers. Unfortunately, with starting my new job it's wasn't going to be appropriate to take time off to get drunk with my boyfriend I mean share in the merriment of the festivities. The Boyfriend is an avid lover of real ales and traditional beers; he's also a regular patron to beer festivals across the North East of the England where he likes to sample the different choices on draught. Unfortunately, I hate beer and lagers they make cringe. I'm still searching for the elusive one who doesn't make me gag after a few sips. There is one that comes close to it, which was a Korean grape beer. I can't remember the name of it, despite the description of the beer it tasted more like fizzy sweet white wine. Personally, I love ciders and tend to stick to the generic branded ciders such as Aspers, Woodpeckers and Stella Artois Cidre. On occasions I've tried the proper traditional ciders, they're deliciously potent, as I easily succumb to alcohol's influence. I tend get drunk fairly easy and have to limit myself to half pint, or attempt to stagger home, but usually end up going around in a circles. The festival was an exciting event with a variety of friendly and eccentric people from all walks of life all focused on enjoying the brew. This Year's Festival was Newcastle's 39th festival and held at Northumbria's Student Union. The venue is an excellent choice for the building large enough to accommodate the crowds and facilities to cater for food, which is critical if you're drunk. The location was superbly chosen, conveniently located near public transport and out the way so not hassled by yobs. 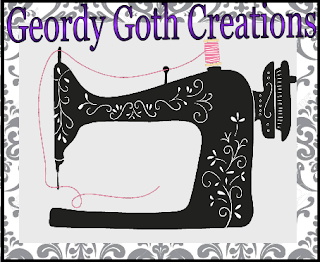 There is a limited amount of information available to described how the Festival came into existence, so I emailed to the festival's organisers. And received a prompt response from the Chairman Ian Branch, states, that over forty years ago the CAMRA branch for the North East of England was established in 1976 . CAMRA started in 1971 by four people who were disappointed by the poor quality of alcohol being forced onto consumers. Brewers had turned away from using traditional methods of producing and fermenting beer in a cask giving its flavoursome and delicious taste. CAMRA in March 1971 created Campaign for the Revitalisation of Ale. 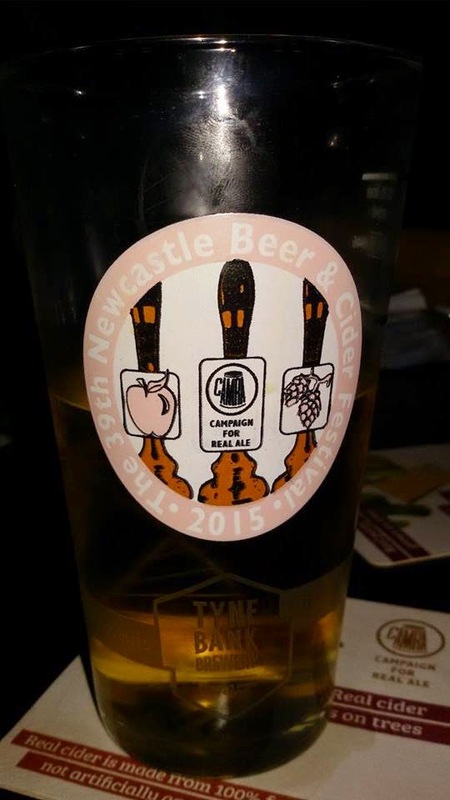 The first Newcastle Beer and cider festival started in 1976 as a way of campaigning and promoting people the opportunity to try traditional. Originally the festival was held on the Newcastle Key side and has been home at the University for four years, volunteers oversee the running of the local CAMRA branch. Over its time, it's offered over 20,000 ales and 4,500 ciders and perry ciders. The event took place on Wednesday 15th of April and commenced over four days finishing on Saturday. Wednesday afternoon was mainly for the CAMRA members, and according to the boyfriend and his mates the proper drinkers to sample a variety of ales, beers and ciders first. After six, the venue opened the doors to the general public. I found it alien because it was my firsts time at the festival. I had to pay three pounds entry, two-pounds refundable deposit for a glass, as long the glass was returned, and purchase tokens to buy beer, which to me is baize. You find a lot of bartenders are exceptionally knowledgeable and friendly allow you to sample to the drink before ordering, there were a few beverages you aren't sample due to the price. During my time at the festival, I reviewed the ciders I drunk. Thursday was best and most entertaining night because there was the unofficial silly hat theme. The most silliest hat went to one of the volunteers who donned styrofoam plate with two pork pies attached either side of it, sadly I forgot to take a picture. It began with me meeting the boyfriend in a tipsy happiness state (I hoping the boyfriend doesn't read this. ) commonly found after drinking. I met bars to procure food. I met his work colleagues who were hysterical and revealed the going events during the occasional London meetings, included agendas, the nights out after the meeting, involve fags and intoxication, not surprised. Lol, His colleagues reassuring me TB didn't have an another woman in London. After introductions the food came, the Boyfriend ordered pizza that resembled more of Undercooked pie slice of meat and veg on, where he regretfully looked my burger realising he made a mistake. The burger was reasonable and cooked rare, I think due to bar catering for the overwhelming customer. On Thursday TB's mates offered me a piece as joke, I should have known better, but they did advise me take a small piece. That's when the fun began, after eating a minuscule piece of the world's hottest chocolates appropriately named Scorpion Death Chilli Chocolate. I Imagined that the chillis were gathered from hell's garden as the chocolate incinerated my mouth. It's a bit like some ex's, seems like a good idea at the time. According to the Boyfriends, faces cringingly bad. Another opinion is, smells and resembles atrocious homemade cider that went off. It looks like a survive Urine infection requiring antibiotics. Immensely cloudy. Tastes like sick backwash and making me feel nauseous. I felt ill and couldn't face any more cider. TB took pity on me and brought me some lemongrass white chocolate, which was beautiful perfume taste with lemon grass and contrasting sweet chocolate. I felt revived after eating the chocolate the delicious chocolate, had some healing properties. By the end of Friday I had enough of drinking and in comparison to Wednesday night the venue became too crowded and loud, the festival had lost all of its appeals. I left by 7:30 there not telling to say about Friday night apart from stocking up on more delicious Lemongrass white chocolate and scoffing most of it before get back home. LOL Sounds like you had fun!